During the jam-making process and other confectionery procedures, melting sugar blocks reactive copper ions. 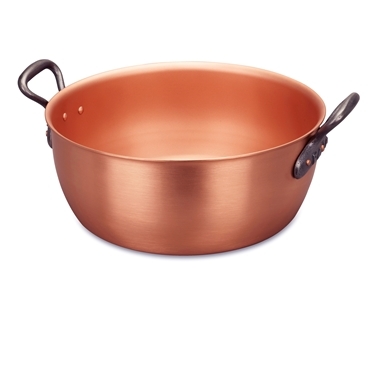 That's why pure, unlined copper is safe to use when making jams, curds, preserves, conserves and confections. It also reacts with sugar to preserve the true color and flavor of your jams. This pot embodies the functionality and rustic beauty that confectioners have enjoyed for centuries. Fill your kitchen with the smell of beef and vegetables. 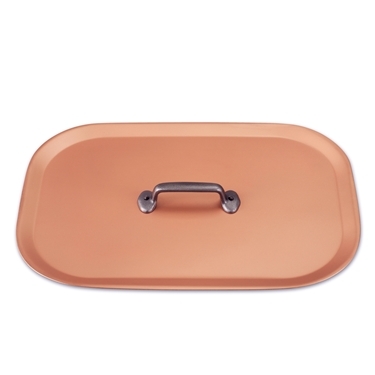 This pan is designed for cooking the classic french dish. It has high, straight sides for the long slow cooking. Then, after removing the beef and vegetables, this same pan with its generously rounded bottom corner can be used to reduce your broth! 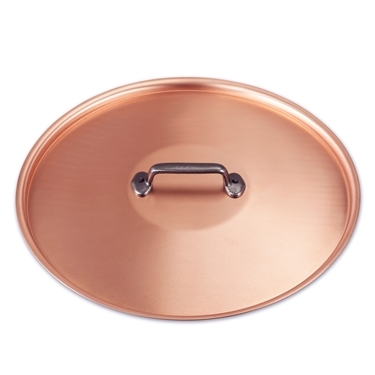 A super efficient steamer, this pan gives you the control to gently warm or quickly steam your foods. A healthy way to cook, steaming preserves nutrients, color and texture while keeping foods moist. The insert rests on the narrow bottom for a stable and reliable fit. Special Order Only - Please contact customer service to order. Smaller than our wok, this pan has the same shape. It is best suited for frying small stir fry or stir frying side dishes. Smaller than our wok, this pan has the same shape. 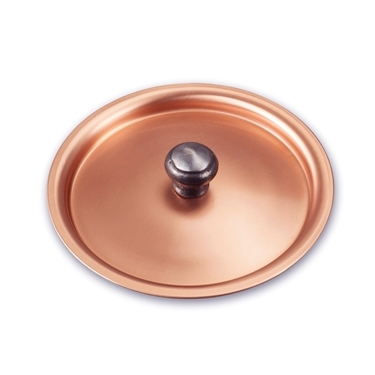 It is best suited for frying small stir fry or stir frying side dishes. 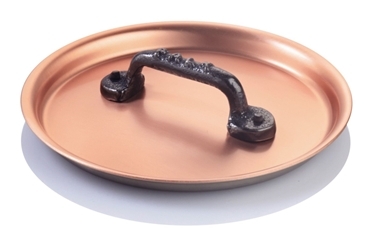 Our 18 cm sugar pan is crafted of solid un-lined copper, the traditional material for confectionery. Designed specifically for reducing sugar into syrups and boiling sugar-based confections. With sugar the temperature must be diligently controlled and maintained. That’s why solid copper is used. 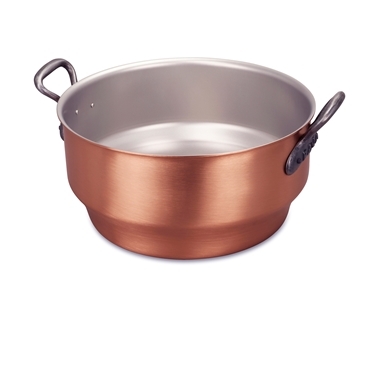 No other material used in the manufacture of cookware conducts heat better. Interestingly, as sugar breaks down, its components have the ability to block reactive copper ions. 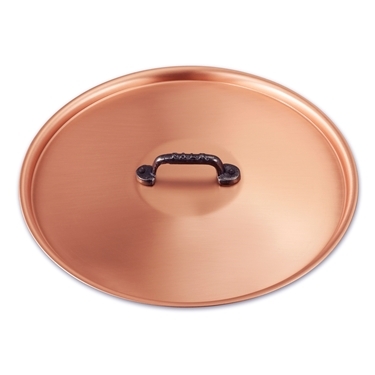 That's why its safe to use unlined copper when making sweets and sugar syrups. Versatility and multi-tasking performance in our durable copper woks provide you with a dependable kitchen workhorse. 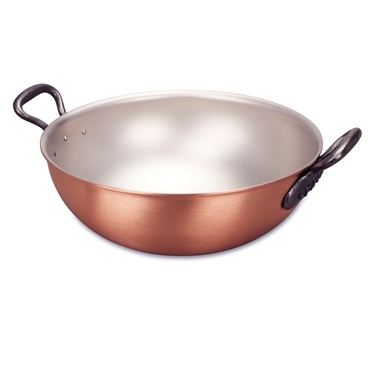 The rounded, high sides give it the functionality of a saucier, wok and sauté pan, all in one. 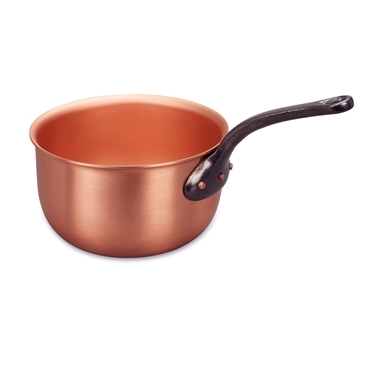 The large surface area is perfect for flash frying and fast evaporation when stir frying. 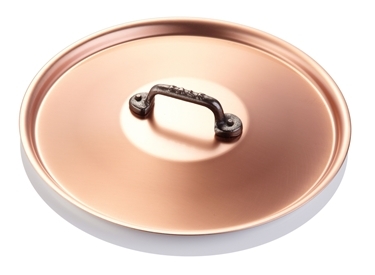 This wok also comes with a steaming insert!